being little • bristol uk fashion & lifestyle blog. 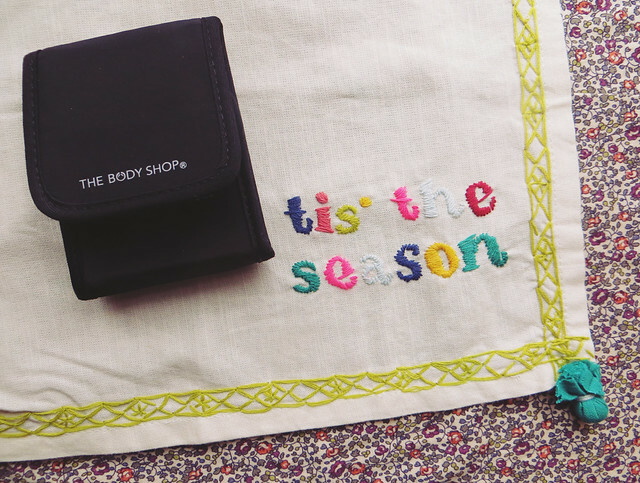 : the body shop giveaway! They were very sweet and have sent me not one, not two, but three of these little brush sets - one for me to review for y'all and two to give away as prizes! And because it's the time of year for generousity, I'm going to chuck in a few little surprises of my own too. 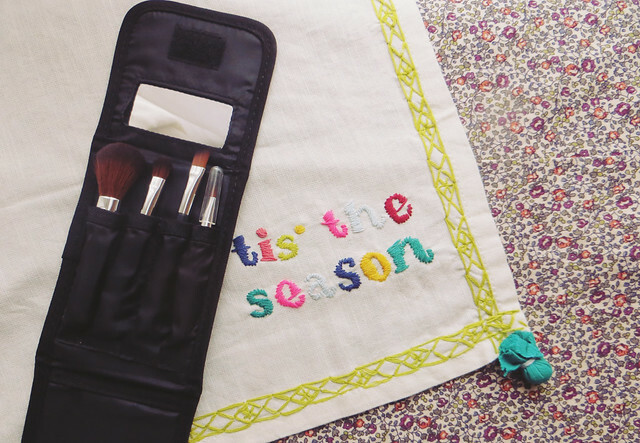 I'm out and about quite a bit, and I like to keep a few essentials in my bag to touch up my make up. 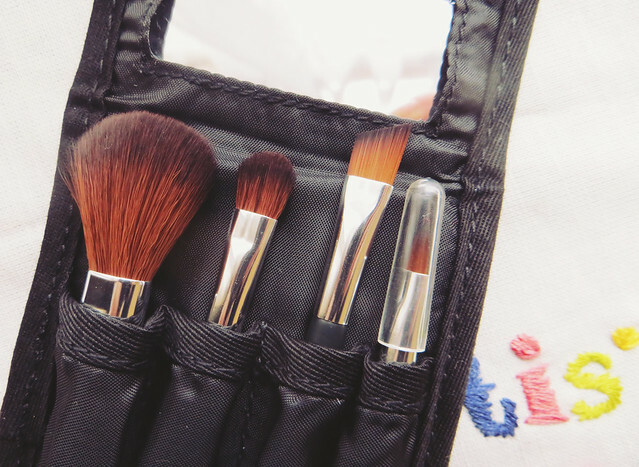 These brushes in their little pouch are perfect for that! A blusher brush for when I'm feeling a little pale, an eyeshadow & an eyeliner brush to transform my eyes, and a lip brush to perfect my lipstick. The pouch stops them from getting all icky, and there's a little mirror in there too - what more could you need?! 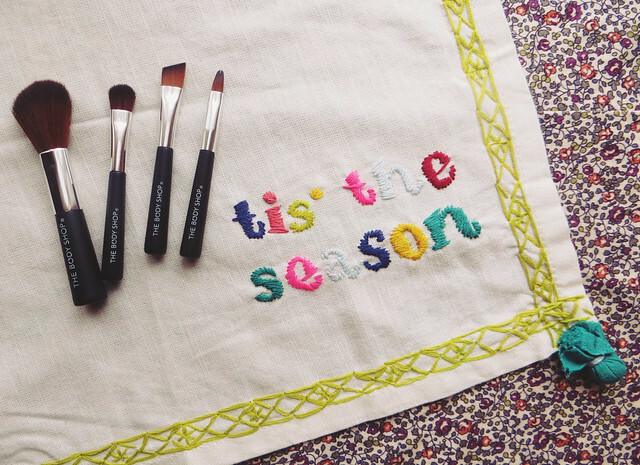 Scroll down to see how you could win your own Mini Brush Kit! There are 2 Mini Brush Kits to win, therefore 2 winners will be randomly selected after the closing date. I will also be chucking in a few beauty bits to go with the brushes! All you need to do to win is enter via the raffecopter form below! Easy! Please note that this competition is for UK residents only. Winter beauty tip - lots of Aveeno moisturiser! What a lovely giveaway - perfect for all those Christmas parties! 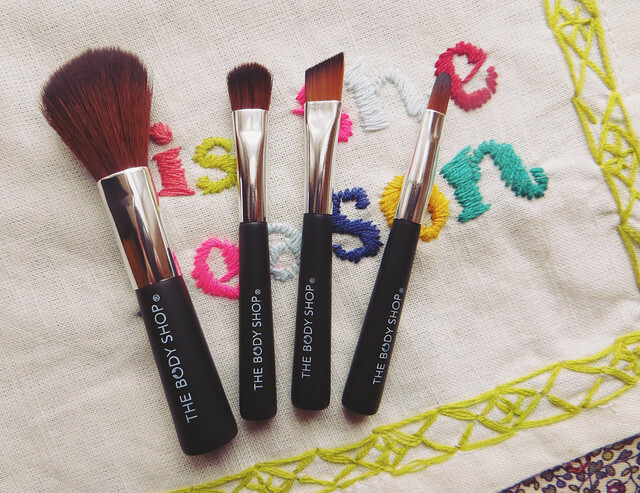 I love bodyshop brushes, didn't even realise they sold mini versions though! popping on a pair of socks after applying foot cream! then you wake up with lovely soft feet! Wow those brushes look so useful!! I've noticed my skin changes tone from summer to winter. Summer I am more tanned, winter I am really pale. So I tend to switch between a slightly darker foundation and paler foundation from season to season. Moisturise, moisturise and a little more moisturising!!! My favourite winter beauty tip is definitely moisturising! Especially hands! moisturise after showering! more important now than summer! Love this giveaway, different to the usual ones! My winter tip would have to be using Elizabeth Arden 8 hour cream at night on my lips and dry patches on my skin and they feel so soft in the morning! Put on lip balm every night AND morning....never skip it! nice giveaway! my winter tip is to use a heavier moisturiser, i'm loving the nivea face and body cream - it's a massive tub as well so it lasts ages!! My winter beauty tip is copious amounts of heavier moisturiser and a small tube of hand cream in your handbag at all times! Lots and lots of lip balm! My winter beauty tip? Lip balm, and the strongest handcream you can buy. You need to look after your skin! I always introduce serum into my Winter routine as my skin needs the extra moisture. My favourite at the moment is Body Shops aloe one. It's soothing as well as moisturising. My tip for Winter to keep your body skin soft and pretty: After taking a shower, apply baby oil to your skin. Then dry your skin with a towel. It will feel amazing! My Winter Tip is an obvious one... moisturise! Keep applying that lip balm! I apply an intensive one at night to help rehydrate my lips for the next day. I love to apply the nuxe reve de miel lip balm at night to keep my lips soft and hydrated. Lip scrub and lip balm!! !